Turn, turn, turn. Never the trust the numbers on the spec sheet. Out in the wild, there’s the never-ending talk of the need for big watts to get you out of the Magnepan woods. Not always so, sir. 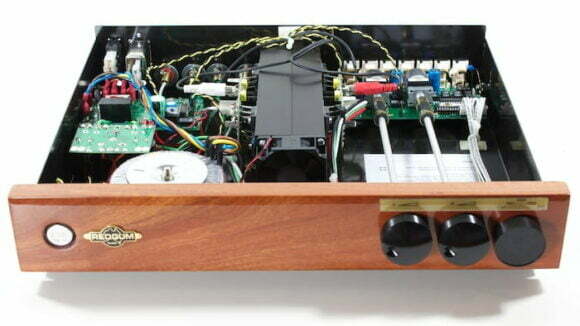 REDGUM’s nominally rated RGi60 integrated is the finest sounding amplifier of the three that I tested with the MMGs. That’ll be down to dual mono topology and high current delivery, I’d wager. It’s more more tonally satisfying and altogether B I G G E R sounding than the Peachtree and the Audio-gd, themselves no slouches. Note: the REDGUM is the most expensive integrated to be considered for this assignment – you get what you pay for, innit. The base unit RGi60 sells for AU$1850 but you’ll also need the AU$185 fan circuit mod. 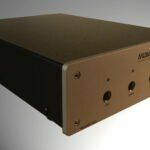 This very amplifier will get a run around the block with something new from Zu Audio in due course – I’m expecting great things. In the meantime, read the extended 6Moons coverage here. “Credo shot first” is a play on Greedo shot first (Star Wars). That paragraph shoots first with the REDGUM credo. “Get your filthy hands off my dessert” is a twist on the Pink Floyd song “Get Your Filthy Hands Off My Desert” (from the Final Cut). I was talking cakes so it seemed appropriate.